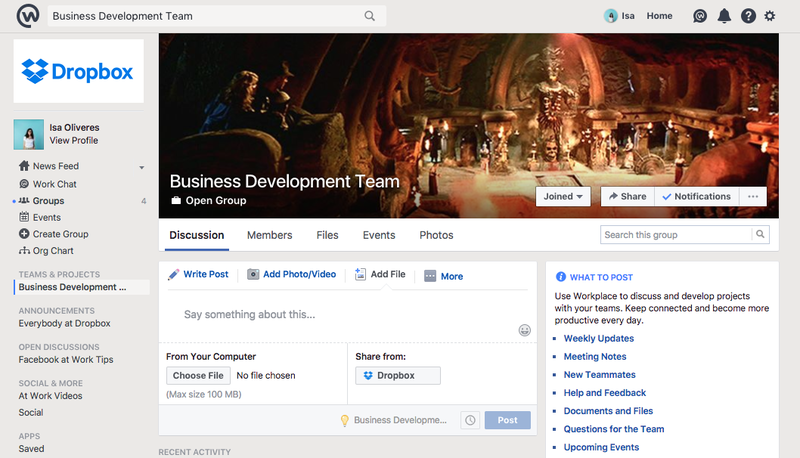 Workplace by Facebook enables you to connect your entire organization with familiar communication and collaboration tools that help turn ideas into action. 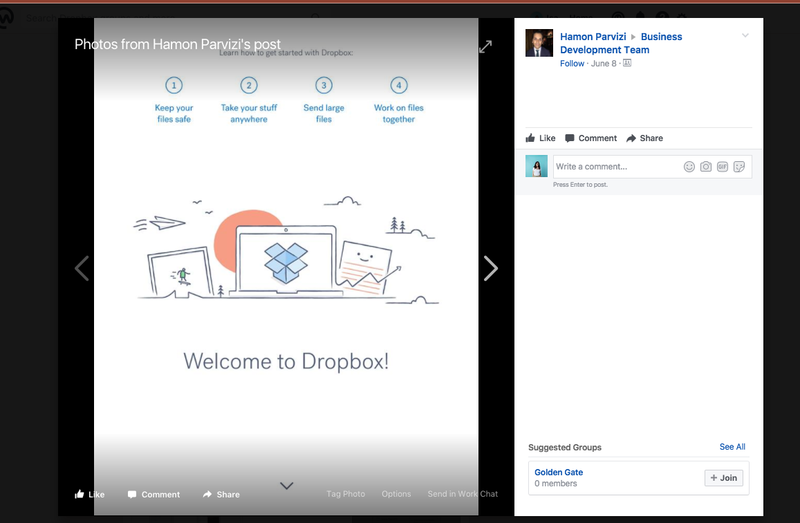 Through the Workplace integration with Dropbox, you can seamlessly access, edit and share documents on a phone or computer without leaving Workplace. 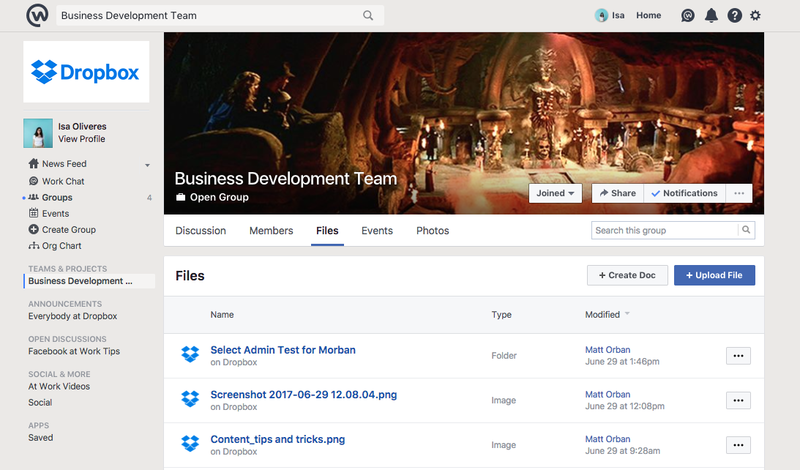 Plus, anytime you share a Dropbox link, a preview of the file is automatically generated without compromising viewing permissions, ensuring your files are safely protected. 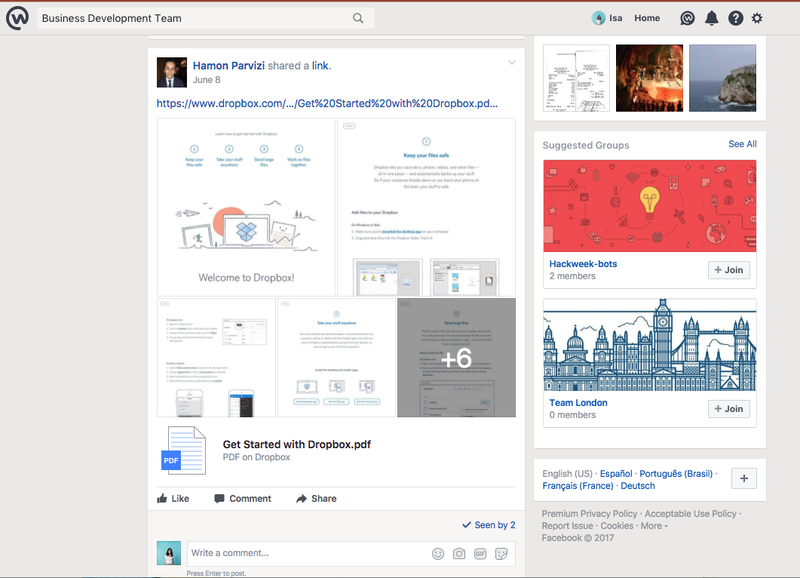 Upload, download, preview, edit and share Dropbox files directly from your Workplace and Workchat. 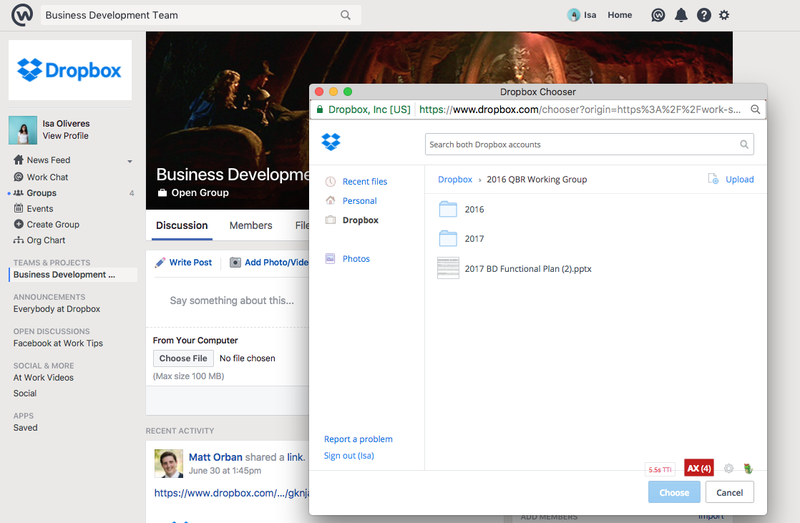 Share large files in Workplace with a Dropbox link and avoid versioning issues. Manage viewer permissions of files in Workplace on Dropbox. Store all Workplace project documents in a centralized storage location.